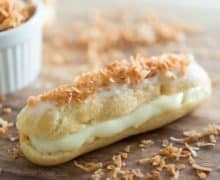 Classic choux pastry is filled with a luscious coconut rum filling and topped with toasted coconut, for a unique eclair dessert! 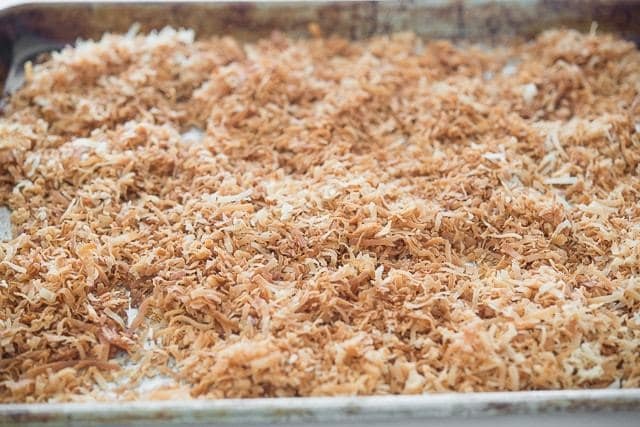 I have wanted to share this recipe with you for quite some time, but it makes sense it’s finally happening now that we’re in the cold of winter. When it’s 20 degrees outside, that means it’s a baking day, obviously. Haha. 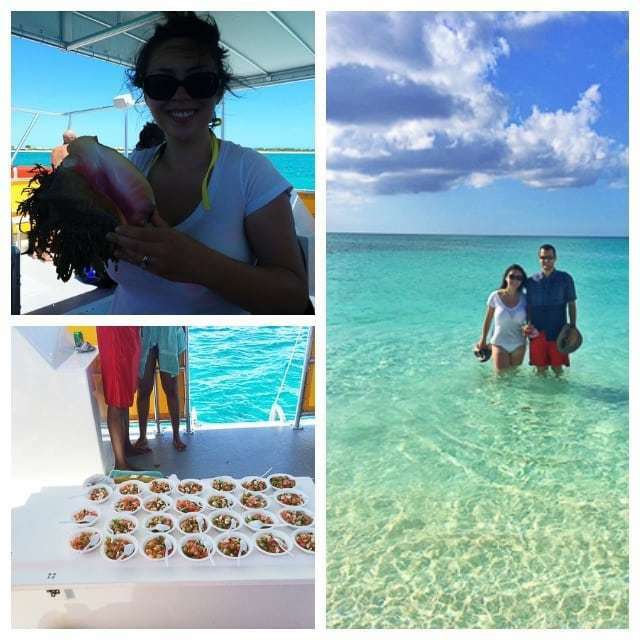 One of my favorite days at Turks & Caicos was a Snorkel & Conch Cruise day trip we went on (no affiliation with them). A boat took us out into deeper water to snorkel and see some really big schools of fish, and we also harvested some conch to eat for lunch. They cut it up and prepared all the fresh conch ceviche-style for us to eat. It was SO good! 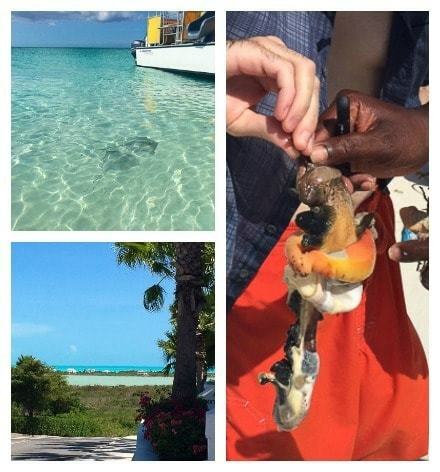 Below: Top-left: My fresh conch pulled from the water. 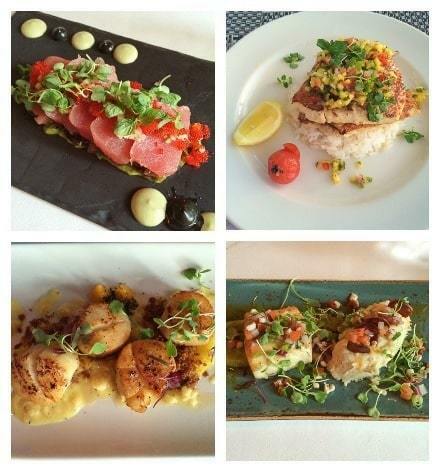 Bottom-left: The conch ceviche they made for us with what we caught. 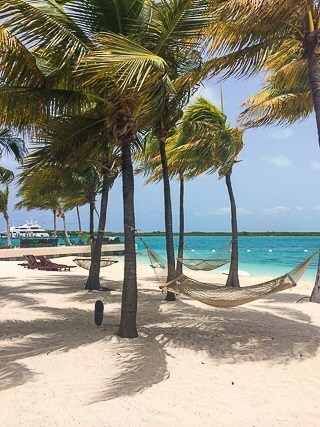 Right: Stopping at Half Moon Bay Island, where we saw tons of iguanas! Top-left: Sting rays came right up to us at the beach. Pete ran toward them to pet them, while I ran the other way. Bottom-left: We rode bikes to the grocery store, and this was a stop along the way. 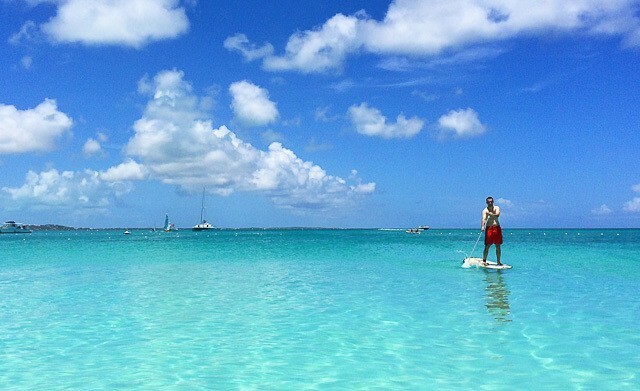 Gorgeous blue water and blue sky everywhere you look. Right: Our tour guide shows us what a shucked conch looks like. 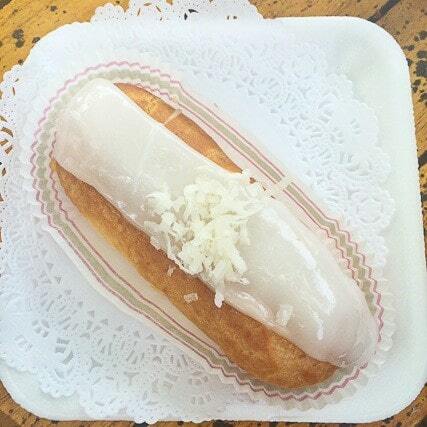 Most of what you see is not edible. Weird looking, right?! 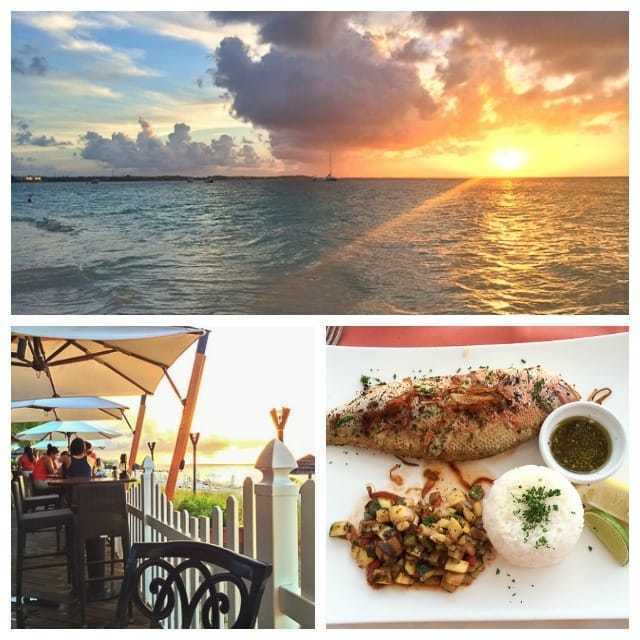 If you’re looking for a relaxing paradise-type vacation, I highly recommend Turks & Caicos. Our trip was worth every penny and we loved the water and people. 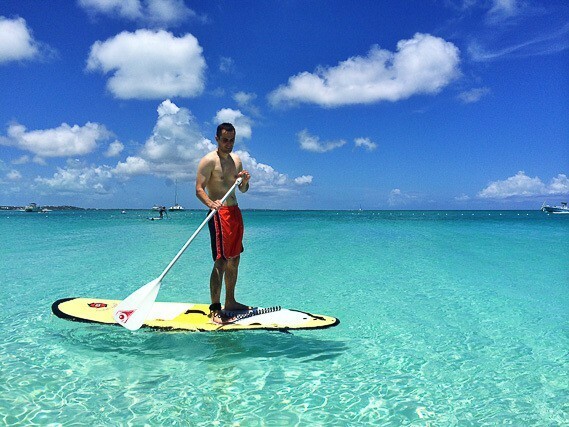 They have some of the best beaches in the world! It was good, but I knew I wanted to change a few things when I got home. Then chill the mixture completely. 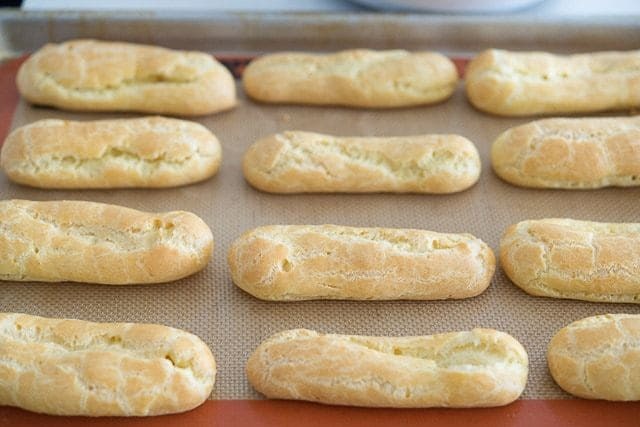 When the pastry cream has chilled, it’s time to fill the eclairs. In the comments: Pete and I are thinking about where we want to travel next, and we’re thinking maybe St. Lucia or Belize. If you have any recommendations for other places from your own travels, please share below! 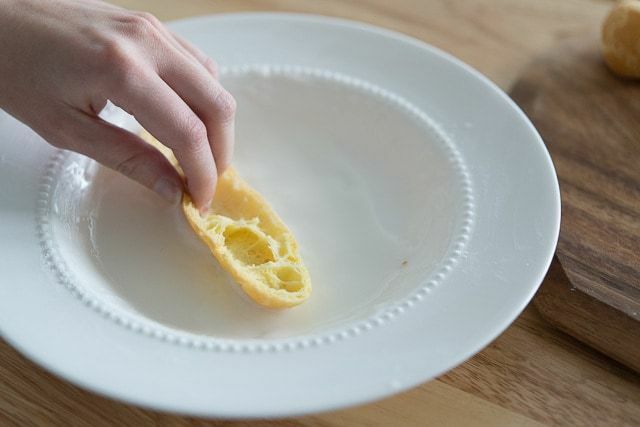 For the pastry cream: Put the milk in a saucepan over medium-high heat, and heat until it reaches a scalding temperature (180 degrees F), when bubbles begin to form on the side of the pan, just before the boiling point. 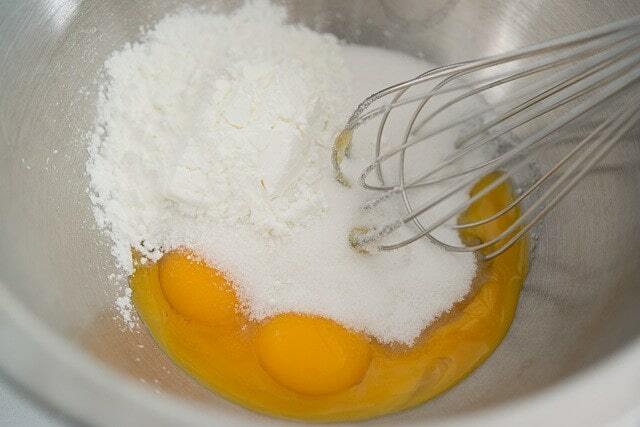 Meanwhile, whisk the sugar, egg yolks, and cornstarch together. Once the milk is scalding, temper the egg mixture and milk by pouring milk, a little at a time, over the eggs while continuously whisking. 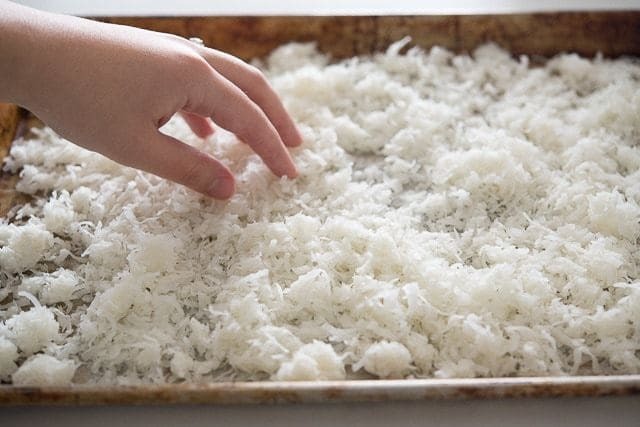 Pour everything back into the saucepan and return to the stove over medium-high heat. 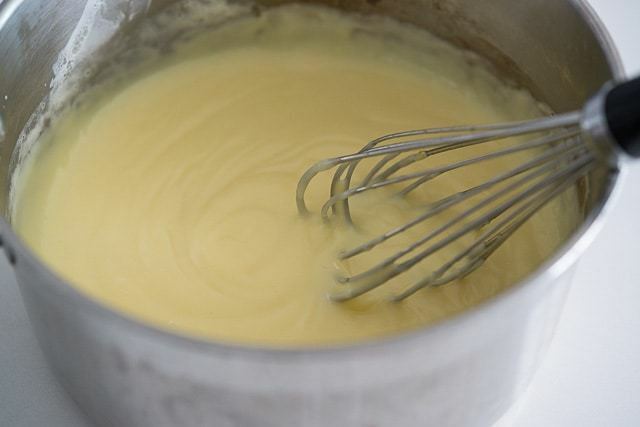 Cook while whisking until the pastry cream thickens. It should be the consistency of pudding. 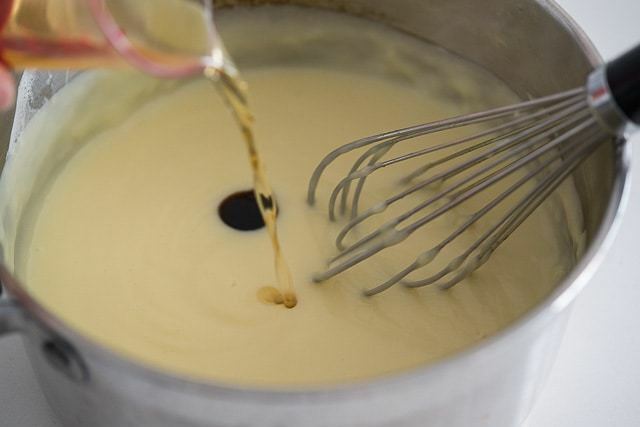 Once the cream reaches desired thickness, remove from heat and whisk in the vanilla, coconut milk, and rum. 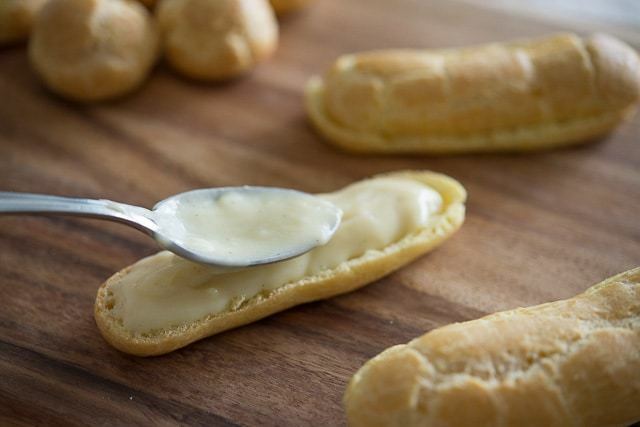 Chill the pastry cream in an ice bath before spooning or piping into the eclairs. 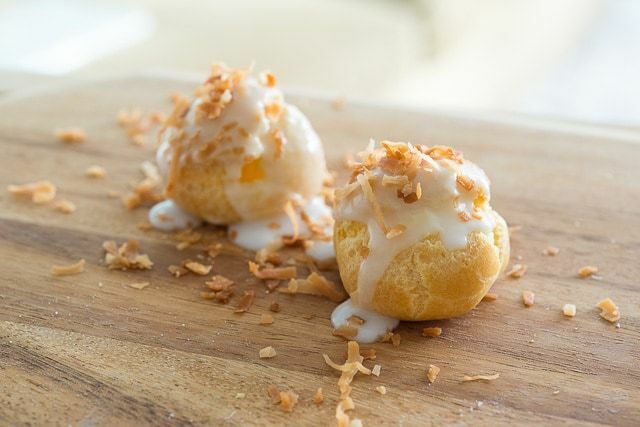 For the glaze on top: Whisk together the confectioner’s sugar and milk or water, until smooth. 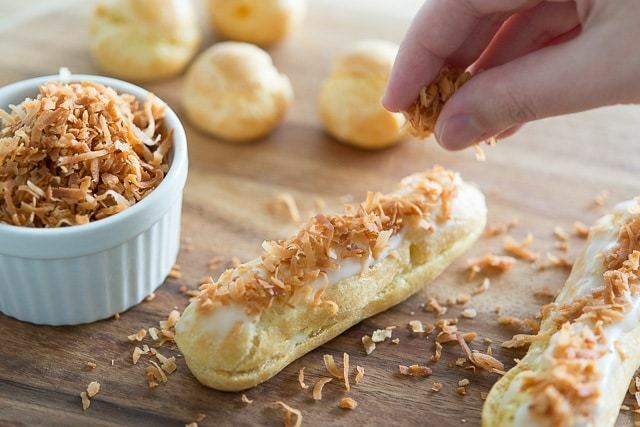 Dip the top of each eclair into the icing, then top with the toasted coconut. Enjoy! These were different and had a lovely flavor. 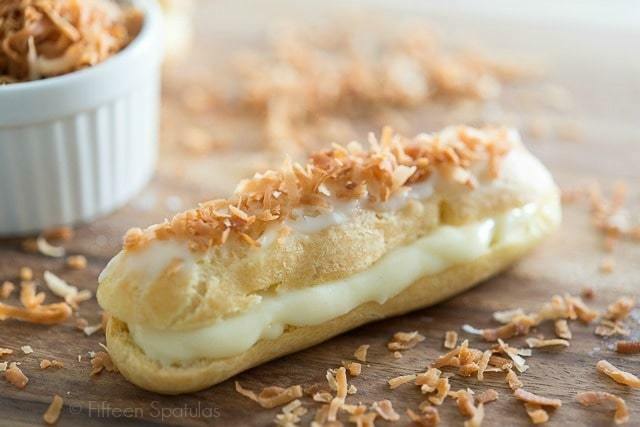 Another favorite of mine is Key Lime.